Tim enjoys spending time walking in the hills or by the coast, encouraging his fruit and veg in the allotment and sauntering down Gloucester Road, BS7. All of which are opportunities to find the ‘extra’ in the ‘ordinary’. His intention is to develop this appreciation of the present moment, through meditative awareness of breath and body. 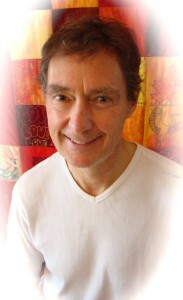 He introduces the ‘mindful movement’ of Qi gong and the bodily awareness of Shiatsu to support this practice. He makes his classes accessible by encouraging participants to ‘make the practice their own’ as they become more familiar with the movements and the meditations. This is supported by the use of poetry and sometimes music. Home practice is encouraged with handouts, CDs and links to relevant Qi Gong sequences on ‘You Tube’. Tim has a Diploma in ‘Mindful Based Approaches’ from the University of Bangor, is a registered Shiatsu practitioner and has qualified in Qi Gong teacher training with the Shiatsu College.